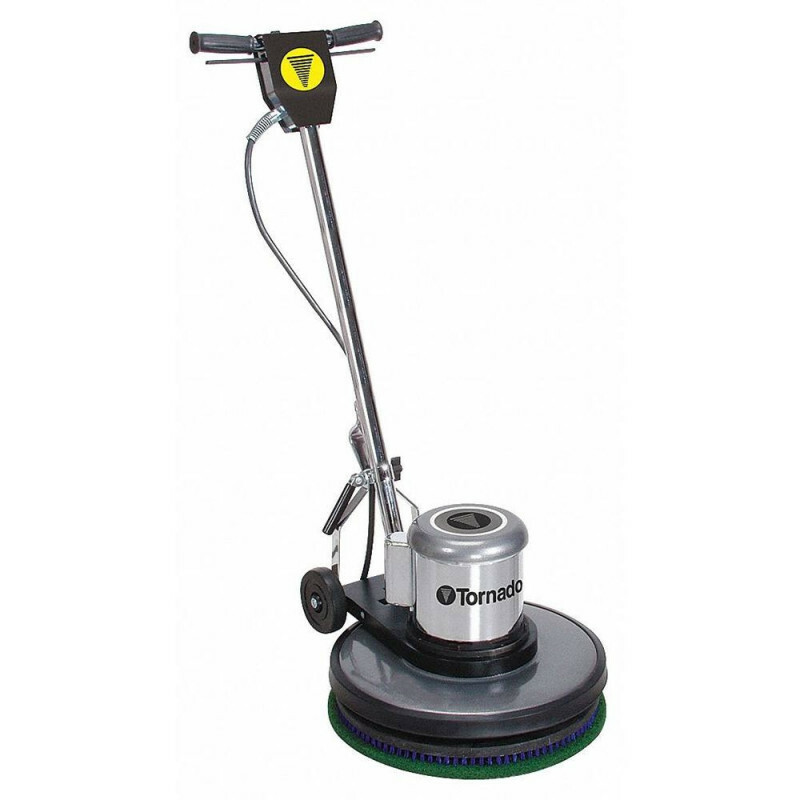 This 17 inch Tornado 'M Series' floor buffer operates at 175 RPM to scrub, buff and strip and type of hard floor surface. 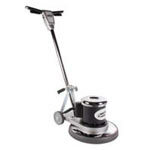 It accelerates at cleaning with brush or pad or fairly smooth surfaces. Powered by a heavy-duty 1.5 HP motor with a dual-capacitor, this floor buffer can handle any type of heavy duty maintenance, including carpet bonneting. The rolled-steel base, high-torque motor and triple planetary gear system make it the perfect machine for heavy-duty use. Additional features on this great machine include a cam-lever that provides an easy variable height adjustment on the handle, which makes it comfortable to use for any operator. The ergonomic start guard offers added safety and strength to avoid accidental start ups. This floor buffer has dual capacitors which results in less end user torque on start up and an easier machine to use. A variety of pads and discs can be attached to the included pad driver to accomplish a multitude of tasks. If you have any questions on what sets this machine apart from the rest of our 17 inch floor buffers, please give us a call today, and we'll be sure to help in any way we can. Rolled steel base for extreme durability. Cam-lever handle makes the operator comfortable. 2 year warranty on parts, 1 year on labor. Quick grip pad holder for more efficient changing of disc pads.